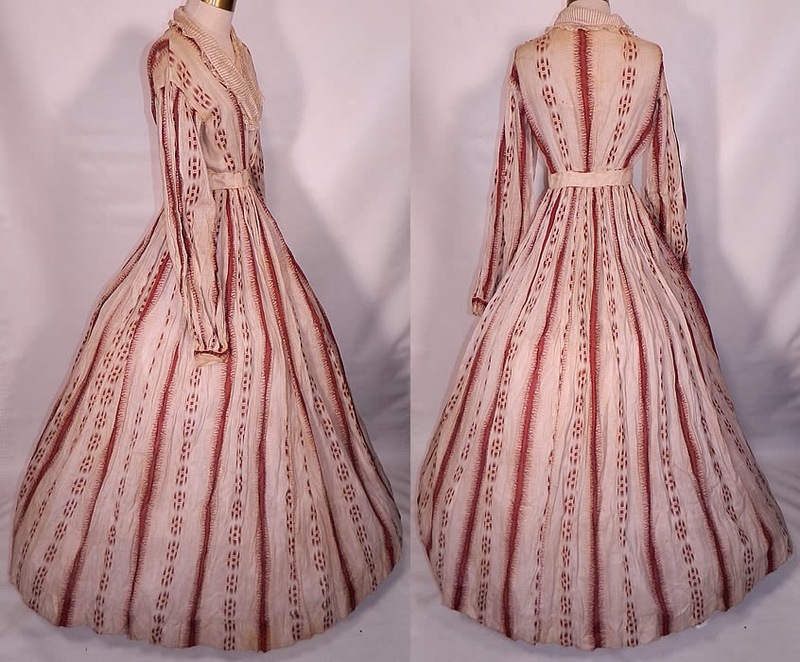 This antique Victorian Civil War era brown and white stripe print cotton batiste hoop skirt dress dates from the 1860s. 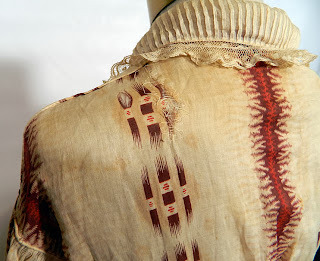 It is hand stitched, made of an off white sheer fine cotton batiste fabric, with a reddish brown striped pattern design roller print. 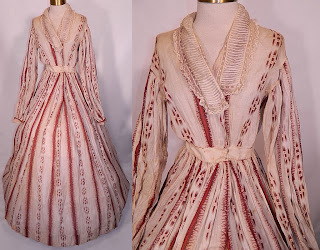 This summer afternoon dress has a white cotton pleated lace trim collar, open front with no closure, long tapered sleeves, a fitted waistband, long full hoop skirt and is unlined. 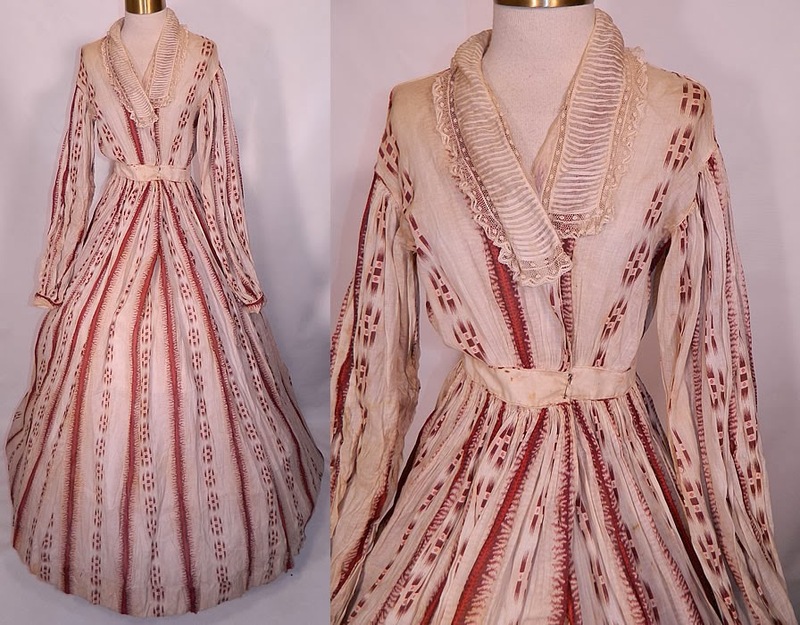 The dress measures 58 inches long, with a 24 inch waist and 34 inch bust. 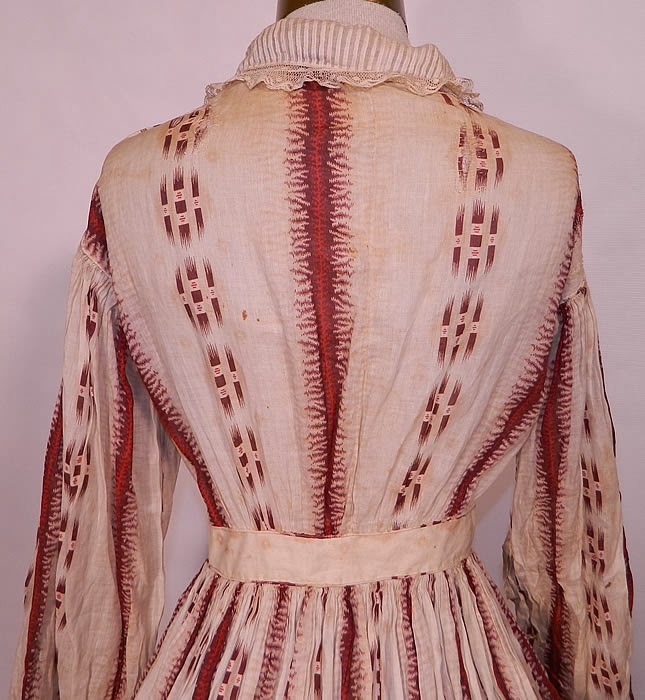 It is in as-is fair condition, has not been cleaned with some faint age spotting stains, several small frayed holes and mends (see close-up). 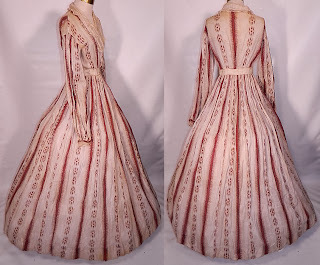 This is still a wonderful piece of Civil War era antique Victoriana textile art! The way the waist is done is interesting. I'd say this could be anywhere from the tail end of the American Civil war to about 1867.